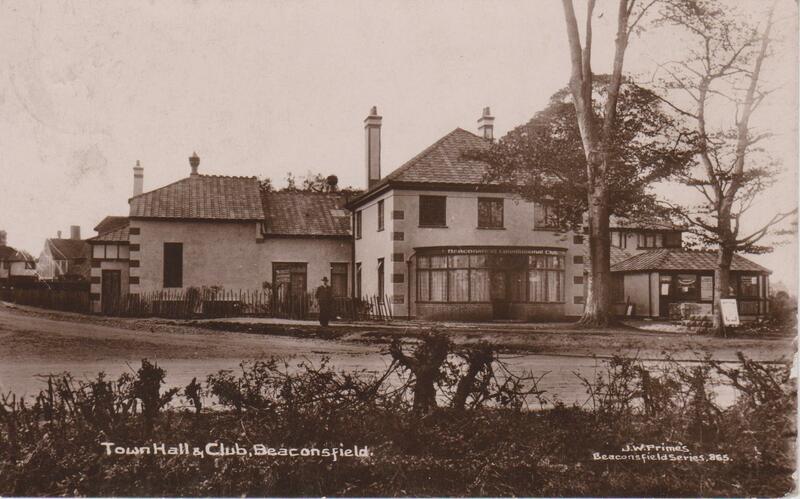 In 1911 the first Town Hall in Beaconsfield was erected on a plot of land at the corner of the lane leading to Gregories. The Bucks Free Press stated that the site, (now occupied by Costa), “was an ideal site that commands a typical view of rural scenery hardly to be equalled in the neighbourhood”. A foundation stone laying ceremony took place on Wednesday 25th January 1911. The Chairman of Beaconsfield Urban District Council, Mr T. F. Lane, JP, buried a bottle containing a copy of the plan of the building, a penny and a sixpenny piece both dated 1909 and a two shilling piece dated 1910. This bottle was then covered with the foundation stone. The building was privately funded by a company formed by a group of gentlemen, the directors being; Mr Robert Wood, Mr Percy Hopkins, Mr A.E.W. Charsley and Mr Frank Froude with Mr Thomas Froude the secretary. Mr Robert Wood was the surveyor, Mr Percy Hopkins, (of London and Gerrards Cross) the architect and Mr Frank Froude the builder. 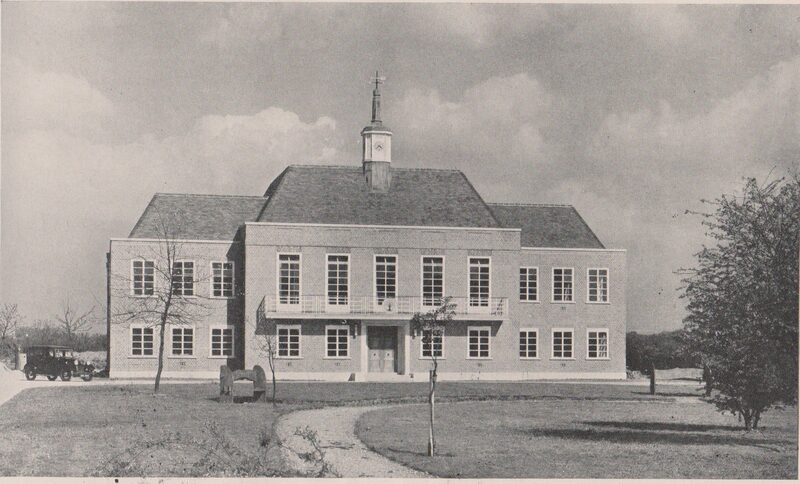 The building was erected at a cost of £3,500 and had seating for 300 people, patent spring flooring, (the only one in the local area) and a stage at one end of the hall. There was also a tea shop and catering facility for use of the general public as well as users of the hall. Six lock up shops were erected at the front of the building facing the main road. A billiard room was provided over the entrance hall with an outside staircase for access which it was hoped would be ideal for the formation of a Social Club. At this time only part of the site was built upon, a further half an acre to the west was set aside as pleasure grounds ideal for bazaars and functions which it was planned would be used at a later date to house a much larger hall if the present building was a success. This ground remained as a recreation ground until finally being used to further develop the area. The Coronation Town Hall was officially opened on Wednesday 14th June 1911 by Mr. W. Baring Du Pre. JP. 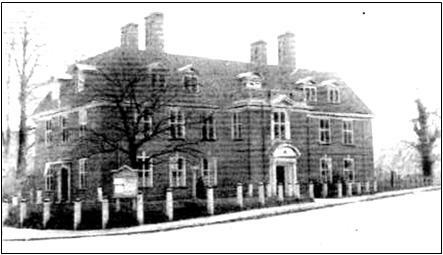 (High Sheriff of Bucks), and gained its’ name from this being the Coronation year of His Majesty King George V.
With the town expanding Beaconsfield Urban District Council looked into providing their own municipal building on a site at the junction of Burkes Road and Station Road with Councillor Vare entering into negotiations for the purchase of the land on their behalf but this never came to fruition. Mr Vare however decided to build his own block of offices on the site and invited the council to lease some of the building for their use which they readily agreed upon. Despite a public meeting to protest at the extravagant waste of leasing these offices and also against the wishes of the ratepayers a lease was drawn up and sealed in July 1914 with the building being due for completion on 25th December 1914. The terms of the lease were for 21 years with a rental of £75 per annum payable quarterly. So in January 1915 the Surveyor, his Clerk and the Rate Collector moved into new offices located on the ground floor of the new building. 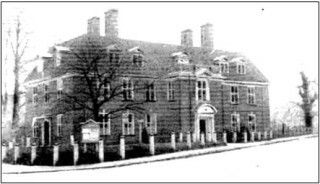 Instead of storing plans at the Surveyors house, having offices in another part of town and Council meetings being held in the Reading Room all the Council business could now be carried out under one roof. On the first floor there was a Council Chamber, 36 feet by 24 feet which was accessed via an ornately carved oak stair case. This room was designed as a ballroom and was fitted with an orchestra loft in order to make best use of the floor space. The Council’s Committee room was also on the first floor which doubled as a supper room when not in use with a scullery and pantry nearby. In all there were three offices on the first floor and three on the second and the Burkes Road end of the building contained a private flat. The premises were illuminated by electricity and heated using a radiator system. Interestingly the Council only supplied furniture and fittings in the surveyor and clerks offices while Mr Vare provided, at his own expense, all the furniture in the council chamber and committee room. There was no official opening for the new Council premises and the first Urban District Council meeting in the Council Chamber was held on Tuesday 26th January 1915. Beaconsfield gradually expanded in the twenty one years that the Burkes Road offices were in use and once again the Council were operating from different premises around the town. 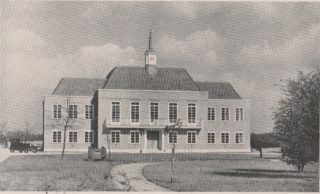 This new Town Hall was designed and erected to not only bring all the current departments under one roof but also to accommodate any future requirements caused by further development of the town. A plot of land and a nearby house were purchased for £1,700 and the price for the new building totalled £7,600. Sir Leonard West, chairman of Bucks County Council officially opened the Town Hall on Saturday 23rd May 1936 and the first Council meeting was held in the council offices on Tuesday 26th May.